All things drinkable. 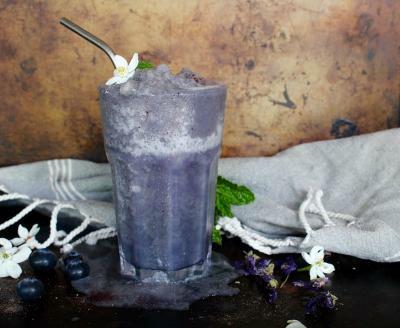 Browse through our collection of curated juices, smoothies, nut milks, tonics, elixirs and more! Start your day right with this immune boosting, uber vitamin C-rich super blend by Paige Gregor of Days of Citrine complete with fresh orange, lime, avocado, and an anti-inflammatory boost of wonder-herb turmeric. This blend will leave you feeling energized, hydrated, and ready to tackle a brand new adventure. Cheers! 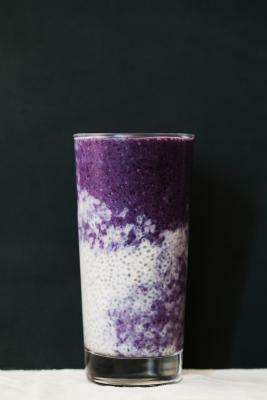 Frozen blueberries and banana, along with some post-workout-appropriate protein powder and hemp make for a perfectly good smoothie all on their own, but the addition of gelled chia offers even more substance and nourishment. It also adds great texture. 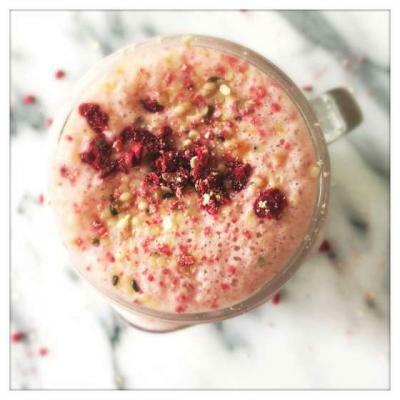 All in all, this smoothie by Anya of Golubka is a lovely thing to feed your body after a rigorous sweat session. 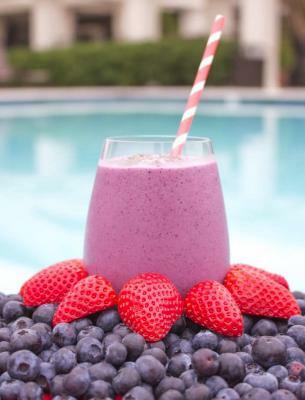 A healthy, protein packed smoothie, that has a slight caramel flavor from the mesquite and a beautiful blue color from Blue Chai tea! Recipe by Laura Peill of Viand - the blog. Looking for ways to sneak in some added veggies? Try blending them into your smoothies! And no, we're not just talking a handful of baby spinach. 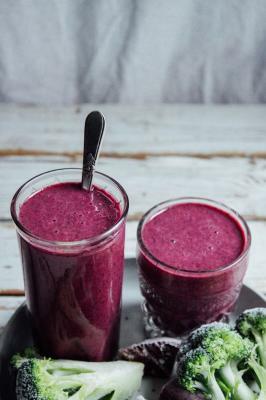 This smoothie by Emily Von Euw of This Rawsome Vegan Life rocks frozen beet, frozen broccoli, and bell pepper while still managing to taste absolutely delish. Enjoy! 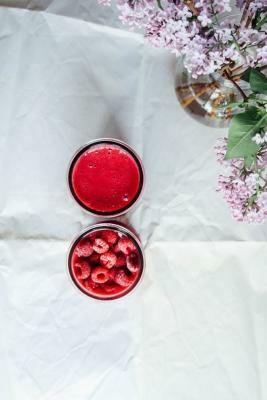 This smoothie by Lily Kunin of Clean Food Dirty City is loaded with antioxidants from a blast of berries, particularly from the soaked goji berries and the blueberries. 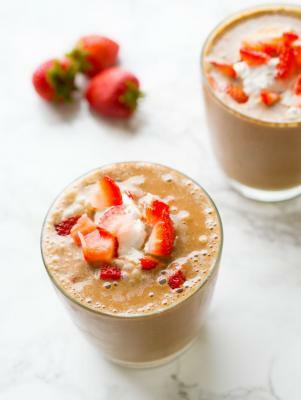 It incorporates coconut butter and cinnamon for a dose of healthy fats, amazing flavor, and blood sugar balancing power. Rose water is also a great but optional addition that helps rebalance and calm digestion and reduce inflammation. Enjoy! 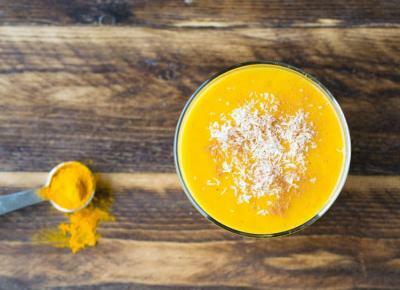 A delicious vegan tropical smoothie with anti-inflammatory turmeric by Crystal Bonnet of Raw Revive. Top things off with shredded coconut and cinnamon, fresh mango, banana and even some coconut whipped cream if you're feeling extra frisky. Enjoy! 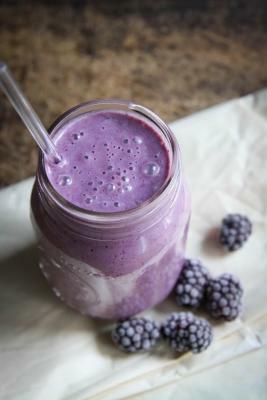 A vegan carob banana smoothie featuring a special immune boosting ingredient! Chaga is a variety of medicinal mushroom that grows on birch trees. It is one of the richest sources of antioxidants and has adaptogenic benefits to the body, meaning it strengthens our immunity and supports our body systems on a holistic level. 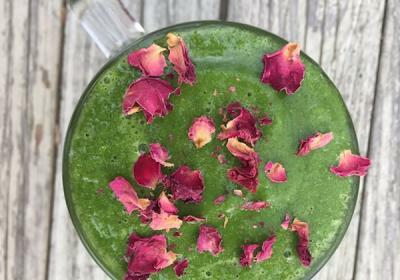 It has a slightly malted flavor and blends seamlessly in this recipe by Crystal Bonnet of Raw Revive. Enjoy! Delish. Quick. Purple. 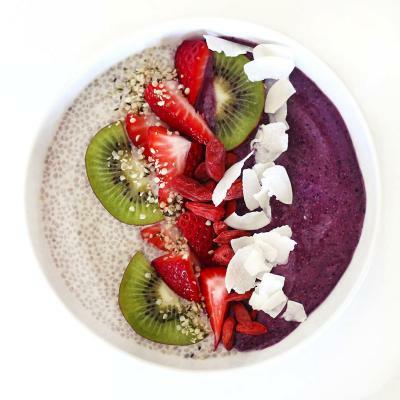 This recipe by Emiliy Von Euw of This Rawsome Vegan Life tastes good and gives your body what it needs to keep going. 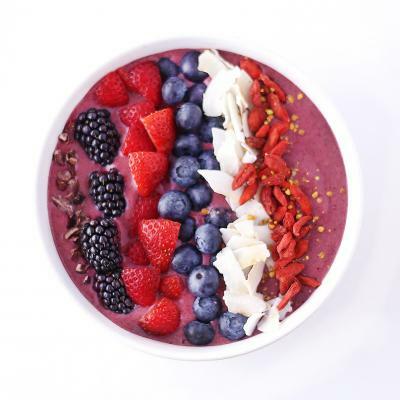 Omega - rich walnuts give a much needed boost of vital omega 3's to the brain, blackberries unload the phytonutrients, and baobab pops the Vitamin C level up a few (or 10) notches. Blend it all up. Drink it down. Yum. 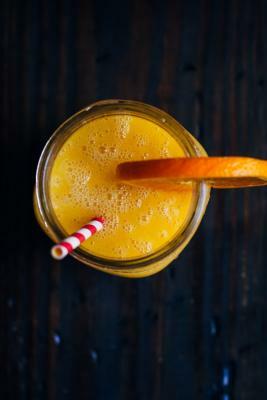 This pineapple sunshine smoothie by Sarah Aldrich of Well and Full tastes like the sun in the jar, with bright and fresh pineapple, mango, and grapefruit juice. Are you enjoying the benefits of going dairy-free, yet find yourself missing kefir? Get ready for the most delicious drinkable yogurt you may have ever had. 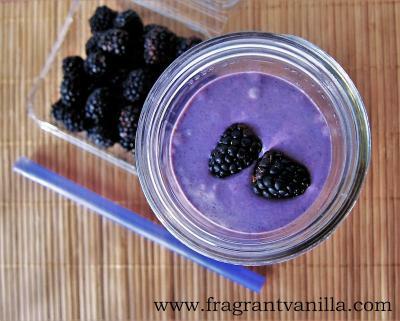 This vegan recipe by Amy Lyons of Fragrant Vanilla is thick, creamy, and packed with both probiotics and protein, just like its dairy counterpart, yet is 100% plant-based. You can't lose with that.